On 13th Sep last year, when I took the plunge to switch my career choice from being a corporate employee to a solopreneur with this blog, I honestly hadn’t expected this journey to be one of the best experiences in my life. After moving back to Kolkata in 2016, I had decided to take a sabbatical. The purpose was to step back from the jazz of being a high-profile Banker and analyze what made me the happiest. Between being a hands-on mother to an infant and reading every single book that I could lay my hands on, I realized that I looked forward to the quiet time every night when I gave a structure to my thoughts by writing them down in my diary. This had become my coping mechanism to deal with my mother’s sudden demise and then a routine that I enjoyed the most. I also have an honest confession to make here. I doubt if I could have broken the mold and ventured into this new territory hadn’t I taken some time off to get used to the phase of salary credit messages not arriving every month end and rewards and recognition parties not happening every quarter. Also becoming a mother had suddenly brought about a spectrum of change in my priorities. I really didn’t have a plan when I started out. I wrote on topics that I was fond of like food, travel, movies, and books. Either the narrative was based on my personal experiences or it was of the nature of a review. It felt great when celebrities, authors and restaurant management appreciated the efforts through a message or a re-tweet. The personal journey category came next and it is still one of my favorite corners of the blog. Just before my toddler started his preschool, I decided to write about parenting based on the current stage in my life. It took me a while to write about topics closest to my heart like normalizing breastfeeding, the taboo associated with menstruation and gender stereotyping as part of my social issues column. They were all based on my perspective and experience. My confidence got a boost when multiple articles were featured and trended on portals like Women’s web, Youth Ki Awaaz, Momspresso among others. Until this period, I rarely read or interacted with other bloggers. 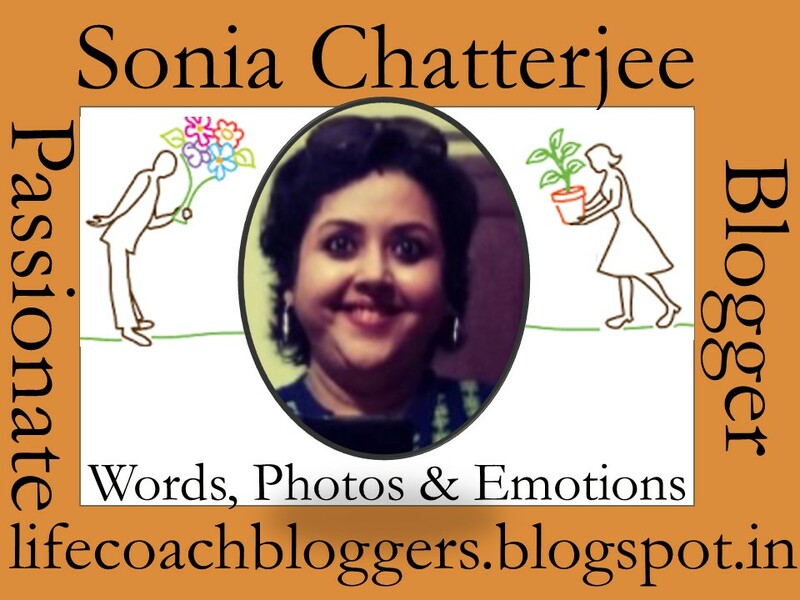 I realized my approach was incorrect at different levels I participated in the Blogchatter A2Z challenge in April. It involved a lot of dialogues and suddenly I was exposed to a wonderful community of bloggers and their fabulous work. My blog had started receiving a good number of visitors as well. This was also the period when I heard of other blogging communities like Indiblogger and BlogAdda. The next best thing happened in May when I turned an author with my debut Detective novella ‘Deal of Death’ as part of the Blogchatter Ebook carnival. From a blogger, I had transitioned into a published author. June brought along the Write Tribe festival of words followed by Bar-A-Thon in July. I had finally discovered my love for writing fiction and flash fiction posts. It was thrilling to weave a story around a prompt in a restricted number of words. 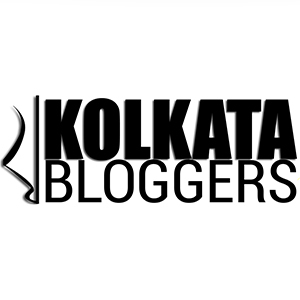 Quite a number of posts made it to the featured section and the top posts in Indiblogger. August brought in a pack of surprises. All the posts written on WOW prompts won the WOW badge by BlogAdda. But the best was when one of my stories made it to the nine winning stories in the Lights, camera, Chatter contest by Blogchatter and I went on to narrate it live on FB. I wrapped up the month winning the Muse of the Month contest by Women’s Web. September began with a positive note as I won the first prize in a blogging contest. But what I really look forward to is the new journey that I am about to begin as I take on the role of an invited speaker guest at the Women’s web Breaking Barriers event in Kolkata this weekend. 1. Read, reciprocate and engage – I would call this my biggest takeaway for the first year. When I started out, I would publish my post and wait to be discovered. I rarely visited or read others. It is essential to understand that without engaging in a meaningful conversation with others, there’s very little that we can achieve in the blog-o-sphere. Do note the word ‘meaningful’ here. It goes beyond the great post, well written, nice story kind of comments. 2. Optimum utilization of social media for promotions – As much as it is necessary to write, it is also important to promote it on social media for wider reach. However, I would suggest not to overdo it. I have received good response using FB and Twitter as a medium. It is only recently that I have started focusing on Instagram and Pinterest still seems like a far-fetched dream. Having said that, I would emphasize the fact that great content definitely gets rewarded eventually. 3. Do not hesitate to seek help – During the initial months of blogging, I had been snubbed by a senior blogger for asking some ‘frivolous’ questions. We have definitely moved beyond that incident today but this bitter experience conditioned my mindset in a way that I stopped seeking out help. It was only after I met Maya, my closest friend in the virtual world that I realized the technicalities of blogging isn’t so difficult. I will also be eternally grateful to another close friend of mine Ashvini for being a great support and introducing me to the wonder-woman of the blogging world Shailaja. It is really difficult to meet a person as helpful and knowledgeable as her. I have met so many amazing bloggers and writers of late that I realized how vibrant the blogging community is. 4. Take your time to find your niche – Despite the fact that I got a lot of appreciation for my movie reviews and recognition for my articles on other portals, it was only after ‘Deal of Death’ released that I figured out where my heart lay. I started putting my heart and soul into my stories as I transitioned into a fiction writer. In the near future, I have plans of starting a YouTube channel dedicated to the art of storytelling and narration camera. 5. Explore other possibilities in the same domain – I always prefer to call myself a writer because that covers both aspects of being a blogger and a published author. Now I also add the term storyteller to describe my profession and I am looking forward to donning the cap of a speaker next. I have grabbed every relevant opportunity to explore something new and it has turned out to be beneficial. 6. The long-term vision of sustainability – When I started out, my tagline read ‘Embarking on a new journey’ because that described my state. With time, I realized that my blog was basically very high on emotions. Recently, I redefined the tagline as ‘Words, photos & emotions’ summarizing what this blog is all about. Whether blogging is a hobby or a full-time profession, there needs to be a purpose of its existence. As a matter of principle, I don’t do promotions irrelevant to my blog. I have lost out on the financial gains but it makes me happy. It has been a great year with the booming stats, awards, and recognition. I hope to work harder and bring in stories of wider variety in the future. Thank you for the continued support and love. I’m planning a surprise as part of the birthday celebration very soon, so stay tuned for further details. I had to travel long way to reach this comment box 😀. So many thoughts over the post !! Thank you Maya for a lot of things. The first year is never easy and I’m glad to have a friend like you. Congratulations 🎉🎉 Sonia! Wonderful achievement and wish you all the more success in future. I have always enjoyed the breaking barriers event. All the best. You have made me day with such kind and encouraging words. I look upto you for the phenomenal work that you have been doing. And this comment really makes me extremely happy today. Thank you Sonia. Keep writing! I love your fiction stories Sonia. All the best for solopreneurship. I’m humbled to hear that. Thank you for your wishes. Congratulations Sonia. Your journey is really inspirational and I for one am definitely in awe of what you have achieved in such a short span of time. Thank you for the warm wishes and extremely kind words. Looks like you have had a rocking start. Congratulations on that. I enjoy reading your flash fiction posts. Congrats on your blogversary.Here’s to many more, wishing you many great successes in the blogosphere and otherwise. Thank you for the kind words and warm wishes. This is just wow… There is so much of emotion in this post Sonia. Feels like I am reading my journey minus the numerous accolades. I started mine along side my full time job so it started out as a hobby of sorts for me. I could relate to your journey so well. My heartfelt wishes for great successes and greater accolades to come your way. Kalpana, you are an entrepreneur who’s trying to bring a change in the world. I am in awe of both your writing and your venture. So when these words of appreciation come from you, I can only feel gratitude towards them. Thank you for being a great friend and support..
Congratulations on your blog anniversary! I celebrated the first anniversary of my blog on 28th August, but I didn’t write a post like this. A good initiative to let others know what’s behind a wonderful post; a long-tread journey of learning and experiences. Congratulations to you. I thought of sharing my experience so that some new bloggers might get an idea about the journey. Thank you for reading and the kind words. Sonia I love your way with words, and only now, reading that it is one year, I realise what a brave soul you are to have embraced this change in your journey. You continue to inspire me with your writing and I look forward to many more years of your inspiration! Thank you Deepa for the extremely kind words. They made me feel very happy. Congratulations on one year of being a Solopreneur. This term is not a new one but on a broad way thinking I am also a Solopreneur like you but hardly ever did I give this term any importance. You’ve inspired me to call myself as a Solopreneur, time to update my bio notes everywhere. Blogging is no less to business. I wish you celebrate more years as a successful blogger, author and a Solopreneur. Of course you are a solopreneur dear. You continue to inspire me with the phenomenal work you do. And I am so amazed at how you can be so helpful towards new bloggers. I have learnt so much over the last few weeks that I have got to know you. Thank you for being a big support and mentor. Many congratulations on your achievements Sonia, your writing is soulful. I have read many many posts and visited tons of blogs. Few remain in memories, yours is one such Blog. You have made my day and I’m grinning year to year. Thank you for reading and being so encouraging of my work. Hi, First time on your blog. Came through A2Z site. It was inspiring to read your journey. The best thing about blogging is that you have been consistent and also in the process you have discovered yourself! Congratulations on your first published work – Deal of Death! Wow, that’s quite an interesting journey & that too a successful one in such a short span of time. You are a true inspiration for bloggers like me. I don’t even know what exactly I have to do next. It’s a long road.